In the game of basketball, good offense can be defined many ways. Spacing, movement, and timing are all part of what makes a good team hard to guard. Another key to breaking down a defense is to be sure your offense includes multiple actions, and ball reversals. As the season nears, coaches are usually looking for a good half-court offense that includes these items. You want good flow from your secondary break action that can get you right into your set. Often, you are also searching for a good delay game to hold a lead, as well as something you can run against a junk defense. 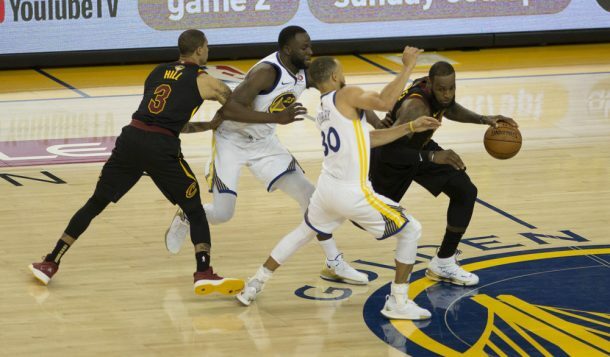 As a coach, teaching multiple offenses for different situations can distract from other areas of need and hamper your teams overall development. Further, it’s difficult to become really good at several sets. The 5-Cut Offense could be a solution for you. 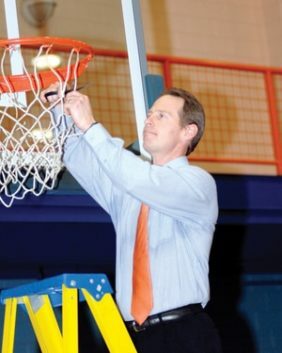 5-Cut Offense was designed by Dave Schulz, Boys Basketball Head Coach at Southwestern HS in Somerset, KY from 1999-2011. Schulz led Southwestern to four 48th District Tournament championships, two regional semi-final appearances, and to two regional runner-up finishes during his 12-year tenure. Schulz’s teams were known for their conditioning, toughness, and fundamental play. Southwestern pulled off several big upsets in Coach Schulz’s tenure by grinding teams down with their fundamental play. If you got behind a Schulz coached team in the 4th quarter, your fate was usually sealed- “we would just run 5-Cut until we got a lay-up”, Schulz said. As a player, Coach Schulz played on the State Championship team at Boulder High School in Colorado in 1979. I picked up this offense while working as an assistant for Schulz’s brother Alan at Boulder HS early in my coaching career. In 2010-11 Boulder High had one of the most prolific scorers in the state, a dynamic guard named Riley Grabau. To prepare for junk defenses such as Box-1, Triangle-1, and Triangle-2 – Coach Alan Schulz worked on the 5-Cut Offense for 15 minutes every day. Sure enough, mid-way through the season as Grabau continuously put up big numbers; teams began to make defensive adjustments. Over the course of several games, we faced multiple junk defenses that were easily broken with the cutting and movement of the 5-Cut Offense, opening up scoring options all over the court. No one was able to stay in their “garbage” longer than a quarter that season, due to our ability to wear them out. Riley eventually ended up Mr. Basketball in CO, and led Boulder High to a state championship runner-up finish. The 5-Cut Offense works well with various personnel but is suited for five perimeter players. The most important teaching point for this offense is that every cut is a dead SPRINT. The offense must be run with pace. As with any offense, rhythm and timing are keys for the cuts, as it does no good to be open if the ball cannot see you. Sprinting will keep the spacing solid and put maximum pressure on the rim. The 5-Cut Offense is most dangerous if all five players can handle the ball and knock down open jumpers. Once the ball is reversed a time or two and the defense begins to chase, using the counters and back-cuts can be devastating. The cuts and movement are easy to drill and the offense flows well from standard secondary breaks. I’ve used the 5-Cut Offense with a variety of teams, tweaking options along the way depending on strengths. Use it to help your team over-achieve, solve junk defenses, or put games away. Check out Coach Chad Seibert on Twitter!!! Chad Seibert is a Men’s Basketball assistant at Division III Eastern Mennonite University under Head Coach Kirby Dean. Seibert joined EMU in 2015 after 8 successful seasons at the high school level. He served as an assistant coach at Boulder High School in Colorado and as Head Coach at Turner Ashby in Virginia. He started 2 successful AAU feeder programs, the Boulder Blaze and Virginia Alliance. He also coached travel teams with three of the premier organizations in the country, the Colorado Chaos, East Coast Fusion, and Big Shots Elite. Seibert’s combined High School and AAU coaching record is 416-179. This includes a State championship runner-up in Colorado, a Regional appearance in Virginia, and multiple titles at the 16U-17U level in AAU tournaments across the country. Seibert’s teams are recognized for their emphasis on skill development and pure shooting, as well as pressure man-to-man defense. In Colorado, Boulder High School was known for their up-tempo style and accurate shooting, producing Mr. Basketball in 2010-11. Seibert relocated to Virginia in 2011 and took over at Turner Ashby in Bridgewater. At Turner Ashby, Seibert inherited a program with 5 consecutive losing seasons and immediately made an impact by changing the culture and installing a youth feeder system down to the 3rd grade level. Seibert’s team broke the school’s 3 point record in 2013-14, and again in 2014-15. The Knights produced two All-Region point guards, an All-Region Shooting Guard, as well as 3 All-Conference players in his four seasons. In 2012-13 and 2013-14, Seibert’s Turner Ashby squads produced back-to-back winning seasons for the first time in over a decade at the school. Chad has a Master’s Degree in Teacher's Education from Drexel University in Philadelphia and will soon complete his second Master’s in Physical Education from Asuza Pacific University.